it's going to be a crazy few days! i'm spending the night at my parents' house tonight then picking up my grandma and driving to st. paul, minnesota tomorrow morning. 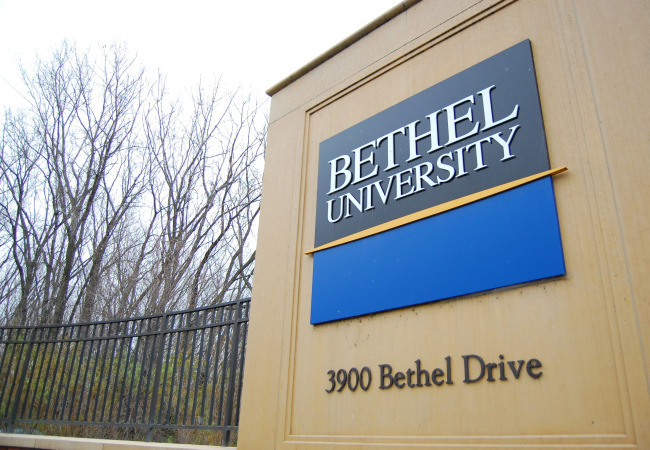 i'll spend the day with family and then saturday morning at 9:00 am my little sister is graduating from college (what?!). and board a plane back to chicago. luckily its a short flight because by 4:00 pm i need to be back in barrington for the wedding of a friend i've known since kindergarten. i'm not yet sure how i'm getting from the airport to the wedding since brandon will be in hampshire coaching a double header and has to meet me at the church. or maybe the reception. boo. sunday we will sleep in and go to the late service at church. i will then spend the rest of the day creating in my lil sweatshop! i'm excited for this whirlwind of activity and plotting ways that i can take jewelry with me to work on. 15 days until taste of wheaton! ...and new in my repertoire! 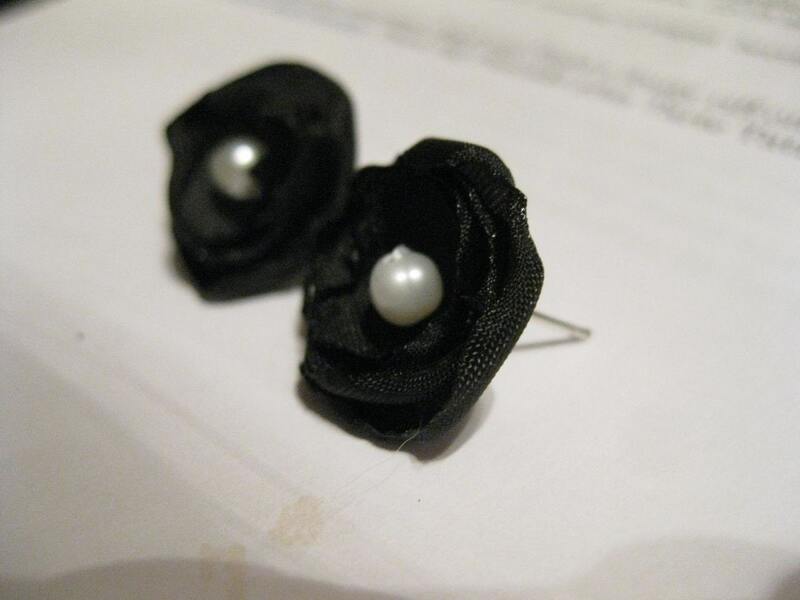 these tiny black earrings and the techniques used to make them have taken over my life! yes. that's a coffee spill in the photo. coffee stains dominate my life. 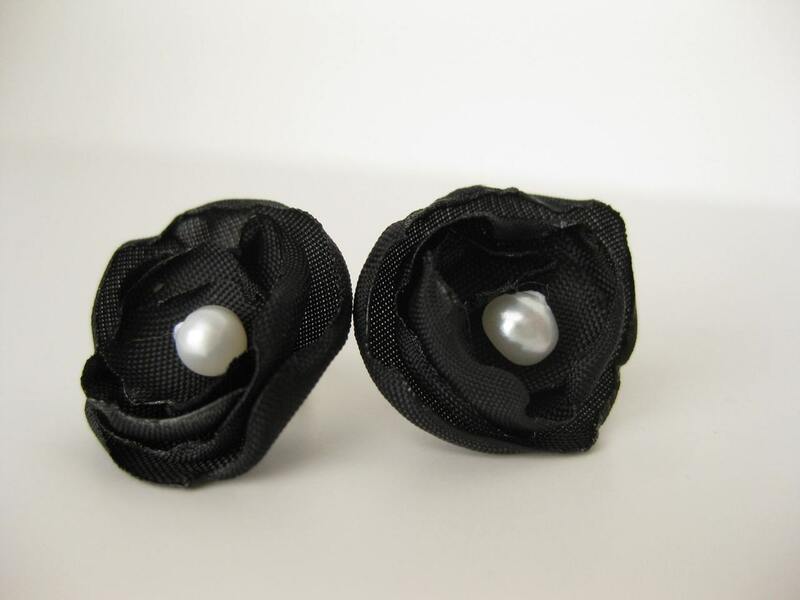 also i'm calling these earrings begonias. everyone else calls them poppies but i want to be unique! i really do think they look like begonias. or begonia hybrids. seen here and here. thoughts? i'm in! 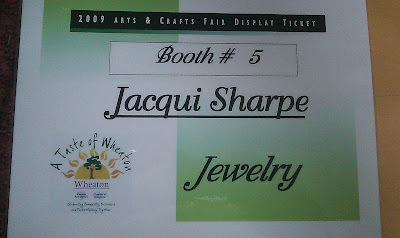 you can come visit me june 4 from 4-8 pm and june 5 from 10 am- 5 pm at memorial park in wheaton! there are going to be a lot of late nights in the next 22 days but i'm so excited! and a little terrified. soooo i had too much coffee at Bible study tonight and i couldn't sleep. around midnight i decided it was about time for that dress to be green! 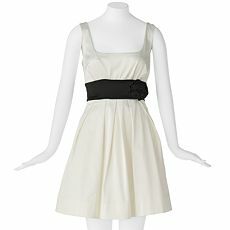 i'm hoping to wear it to another wedding and we all know it can't stay ivory! so i grabbed the dye, wrote down some instructions and headed to the basement. take a deep breath and get started! 1. fill the bucket with hot water. 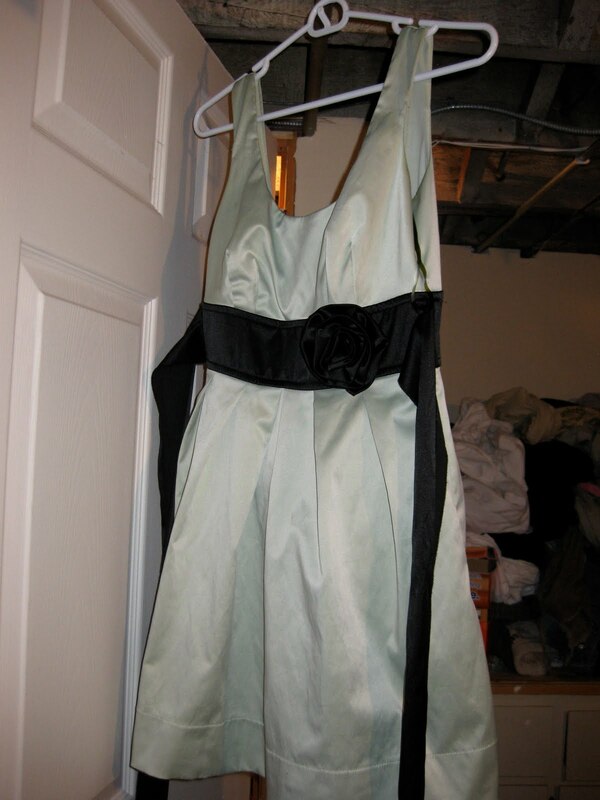 dip the dress in to make sure there's enough water for it to float freely. remove dress and "uncrinkle"
2. add dye to water according to formula on rit dye website. mix well. i was going for a bright green color. green 2 to be exact. formulas are based on the weight of the dress and are based on one ounce. 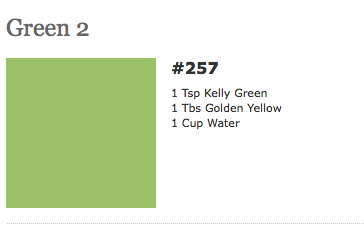 i estimated the dress weighed around a pound so multiplied the following by 16 and ended with 5 tablespoons and 1 teaspoon of kelly green and 1 cup (the whole bottle) of golden yellow. 3. add dress to dye and begin to stir. don't stop stirring for 30 minutes (yes. 30 minutes). make sure to stir both around and up & down so the dress doesn't stop moving in the dye bath. things to do to pass the time: listen to an audiobook, take one handed photos of what you're doing, play a game left handed on your phone, try not to drop the camera into the green dye. 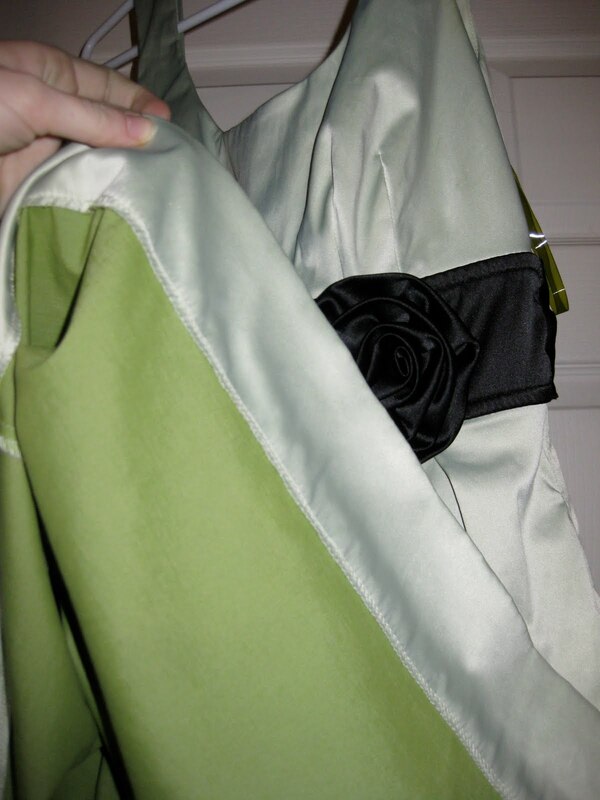 also: keep checking on the dress; get bored and impatient; decide the color isn't dark enough and add more green. 4. after you're sure the dress isn't getting any darker remove it from the dye bath. dump the water and begin to rinse the dress. start with warm water and as more dye rinses out switch to cooler water. rinse until the water comes out clear. 5. wash the dress in warm water with mild detergent in the washing machine. 6. dry dress on low heat in dryer or hang to dry. (i'm impatient...i put it in the dryer) then sit back and admire your work. or in my case...realize that polyester really doesn't absorb dye like you want it to and the dress is not the shade of green you were hoping for. interesting though...the inside of the dress is EXACTLY the color i was attempting! can i just wear it inside out? the tag is also the perfect color! now i'm debating whether to buy another bottle or two of dye and try this again. leave it in longer - maybe an hour- with extra dye. problem is that means i have to stand there and stir for the whole hour. i could also try it in the washing machine, but since we just got ours fixed i'm afraid to mess it up again! while i knew that the polyester in the dress would keep this from achieving the color i wanted i was hoping for a little more green. still it's not white anymore which means i can safely wear it to the wedding next week! i spent $6 on two bottles of dye which takes the grand total of this dress up to $19. definitely a winner! just want to say a quick happy mothers day to a bunch of wonderful women- most of whom will never read this because they have no idea what a blog is! happy mother's day mama. 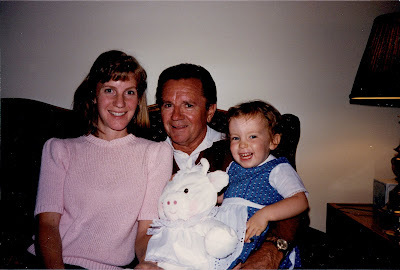 (and papa i miss you dearly). i'm so glad we've grown into a relationship that goes beyond just mother and daughter. i'm blessed to call you my mom and my friend. thank you for your love, advice and patience for many many years! and happy mother's day to you nana. you are an incredibly strong woman and i pray that one day i will have just a fraction of your faith. thank you for teaching me about food and art and for helping me to appreciate breakfast as the first and greatest meal of the day. even though i'm grown up i still love spending the day at your house more than most things in the world! happy mother's day to you grandma chester. i think craftee mcgee gets a lot of her skills from you! 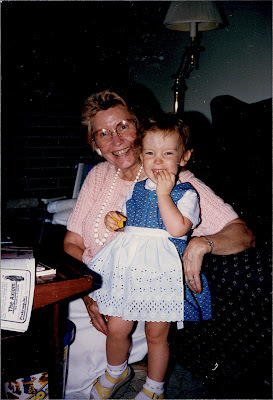 thank you for teaching me to love crafts of all kinds, for passing down recipes and for loving me. happy mother's day to my wonderful mother-in-law. thank you for raising a wonderful son. he is blessed to have you as his mother. thank you for welcoming me into your family and helping me feel included. thank you for supporting us in everything and for being interested in who i am. i am blessed to be a part of your family! today also marks the one year anniversary of bringing home our little monster. maddie you have made our lives crazier, harder and more wonderful over the last year! love you monster! with baseball season in full swing life has been a bit crazy around here so here's a mostly pictoral update through the lens of the iphone! one of my latest and greatest goodwill finds. 4 cherry glasses. 99 cents each (whatever happened to the cents symbol? i liked it. someone should bring it back...ooo! html code! here it is ¢! i'm bringing you back little ¢ sign!) 99¢ each! after the crushing defeat the warriors suffered today i felt the need to get crafty so i made these two flowers by cutting circles out of a satin-y fabric & melting them over a flame (and almost burning my hand off). big one = pin. little one = bobby pin. our herb garden is sitting on the kitchen cart waiting to be planted outside! the frame of the garden has been built but we haven't had a chance to buy dirt (plus we've had frost this week). soon little plants. soon. hideously awesome green vintage bag. bowling? maybe? goodwill. $2.99. (299¢) soon to be my carry on. any ideas on how to clean weird green leather type fabric? inside said green bag: my current stash of candlesticks for cake stand making -- getting their own post soon! sorry that's a terrible picture. this is monster right after eating half of a raw hamburger. my hamburger. right off the counter. she got in big trouble. she looks sad. and yet triumphant. thrift store find! if i can trust the bag this is an unfinished quilt circa 1880ish. um...awesome. the stash of plates waiting to be made into awesome pillars of dessert display. finished cake plates #s 1 & 2. again...more detail to come. yesterdays game was in the middle of a windstorm and i decided i couldn't wear my hair down again today. problem is my hair isn't actually long enough to wear up so i made this headband in warrior colors before i the games this morning. it's not perfect craftsmanship at ALL but it got the job done today. sneak peek of a new product about to hit the shop! check back soon for details! so there's lots happening here in the sharpe house. i'm feeling a longer more contemplative post coming up soon but baseball season is here, the sun is out, it was light until almost 8 tonight and craftee-ness is in full swing- we are blessed!